The Robust-Aire diffused lake aeration system is ideal for use in deeper lakes of 2.4m – 15m depth to provide oxygen enrichment and water circulation. 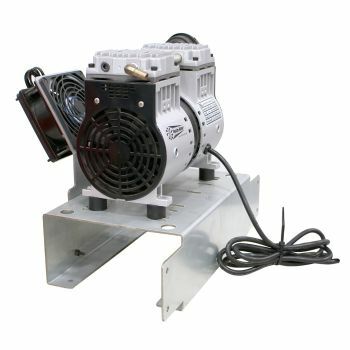 The system consists of a robust shore-mounted air compressor and submersible air diffusers. 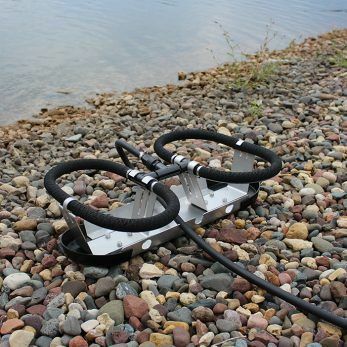 The self-righting diffusers are sunk to the base of the lake in the most strategic positions and are linked to Sure-Sink weighted airline (not included), passing back to the dry-mounted air compressor. Air bubbles are forced through the diffusers to dramatically increase water circulation, oxygen content and also help to de-stratify the lake water column, considerably reducing stagnant water and algae growth. No electrical connections in the water. Effective depth range of 2.4 – 15 meters. Diffusers can be mounted up to 1 mile away from Compressor. 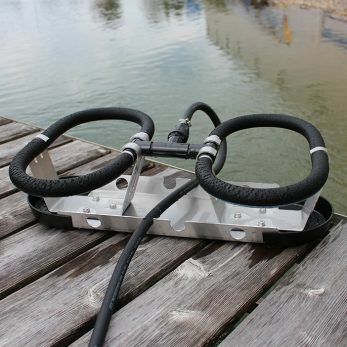 The Robust-Aire systems are best suited to lake waters of 8ft (2.4m) depth or greater for optimal efficiency but can be used in shallower waters (at a reduced rate of efficiency). Diffused Aeration is well suited to lakes where surface water disturbance is not tolerable (i.e. using fountain style aeration) and will simply produce zones of surface bubbles with minimal evaporation issues and noise levels. The Robust-Aire diffused aeration system is designed to be easily assembled and simple to install, with the diffuser manifolds featuring a self-weighted, stainless steel base that will always land upright when dropped into the lake and porous neoprene diffuser lines for maximum longevity. 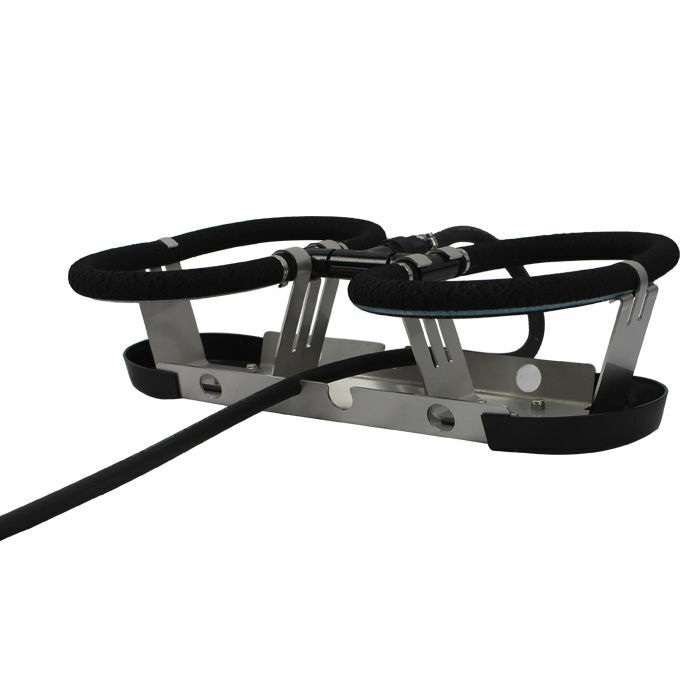 The Robust-Aire has been manufactured to incorporate a strain relief system to keep hoses and connections from being bent or deformed which would otherwise lower the efficiency of the unit. 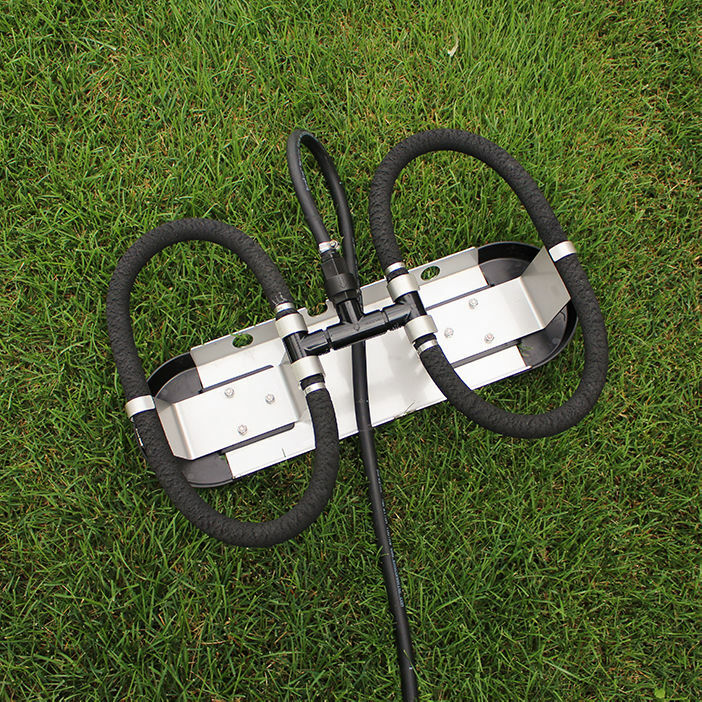 The innovative diffuser manifold is equipped with edge guards to protect from puncturing pond or lake liners. The air compressor is designed to be post or wall mounted but can be floor mounted if elevated slightly (to allow the access door to be fully opened). 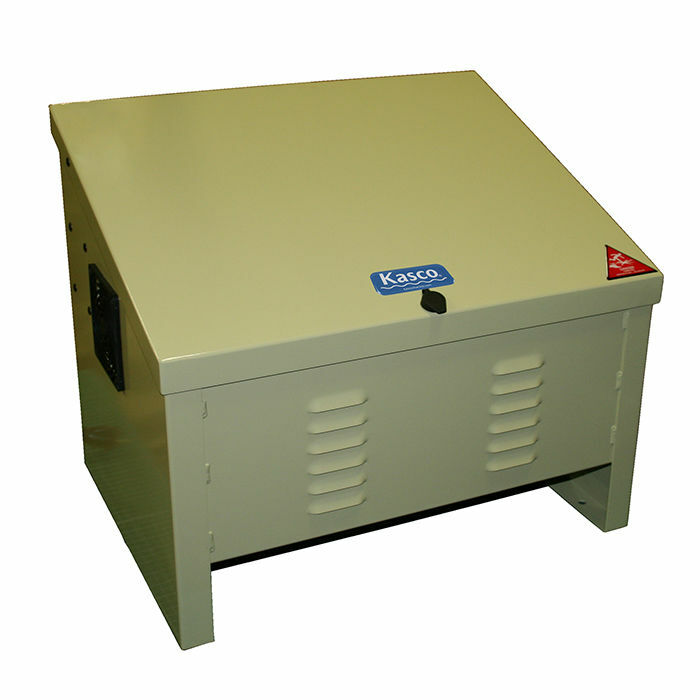 The compact, powerful 230V/50Hz Single Phase 1/2HP compressor produces low noise levels of around 65dB. 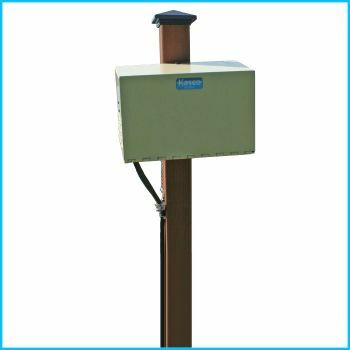 Water Garden Ltd offer 6 pre-packaged systems to suit virtually any lake management application. 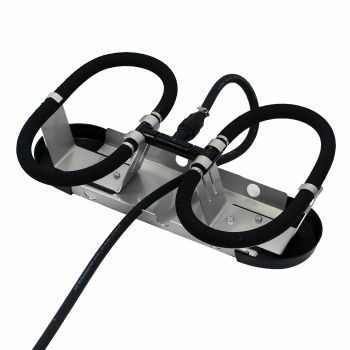 The optional Sure-Sink weighted air hose can then be selected depending on the location of the compressor to the submerged diffuser(s). 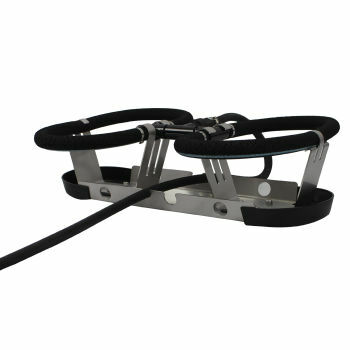 For hose runs over 90 metres, we suggest the use of 5/8" Sure-Sink hose. The Robust-Aire features market-leading diffused oxygen transfer rates and can be used to aerate feature lakes, fisheries, large ponds, golf course lakes and attenuation ponds amongst other aquatic applications.